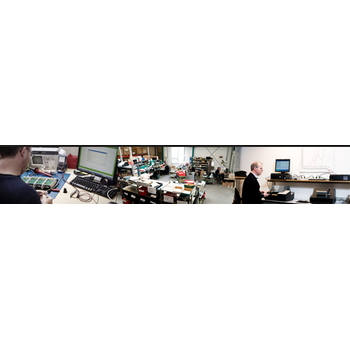 Showing recent results 2206 - 2220 of 4490 products found. 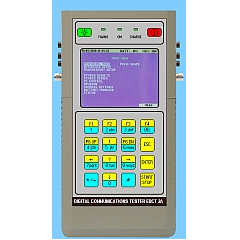 Realizes analog in-circuit and function testing on test equipment. 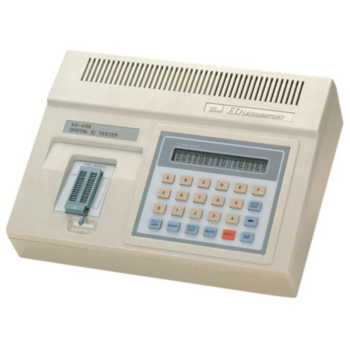 IC pin floating function provided as standard function. 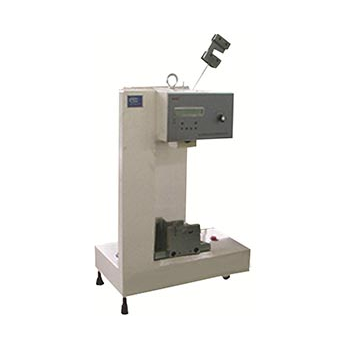 MTS180 is equipped with press type tool, and MTS300 is equipped with vacuum type tool. 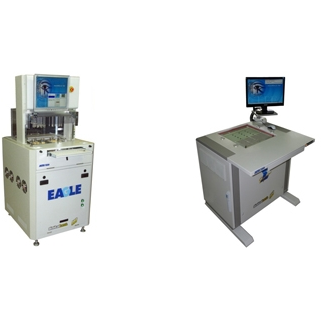 Electric testing of the mounting board following component mounting is conducted in the board mounting process at the production site and good and defective components are determined automatically. 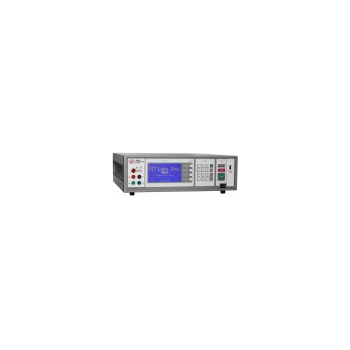 Inspection primary consists of short/open inspection, analog inspection of components such as resistors, capacitors, coils and diodes, QFP/BGA components and lead floating, voltage measurement, digital IC inspection and frequency measurement. 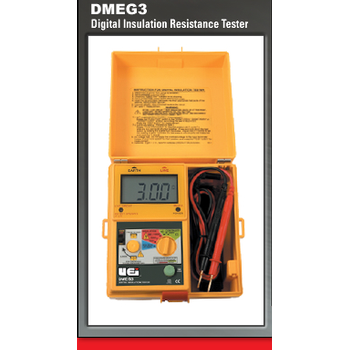 The DMEG3 Megohmmeter allows you to predict, prevent and identify insulation failures that can cause appliance failure, stop production, create power problems and even put lives at risk. 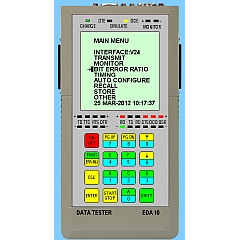 It quickly tests insulation integrity on motors, power distribution systems and other installed wiring. 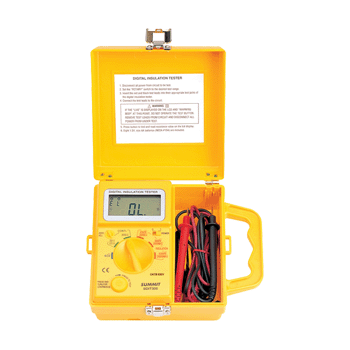 600V AC measurement capability. 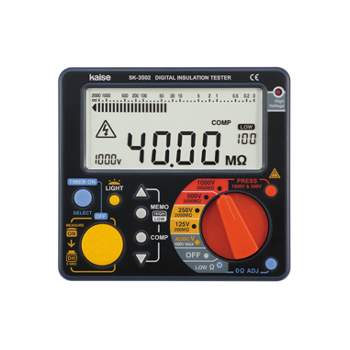 Insulation resistance ranges 0 - 2000 MO Three test-voltage ranges (250, 500, 1000 V DC). 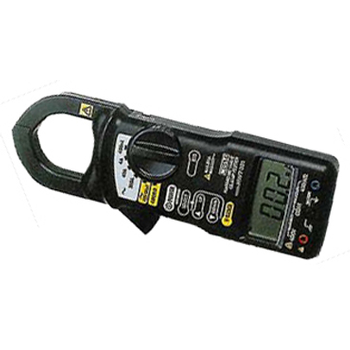 MIS-D - MULTI MEASURING INSTRUMENTS Co., Ltd. 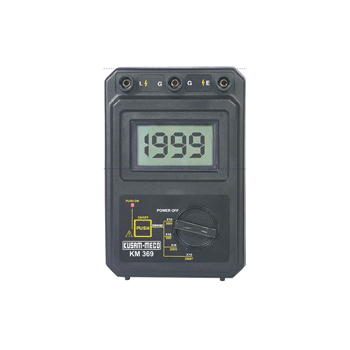 The big digital and bar graph LCD display with back light enabled easy observation. 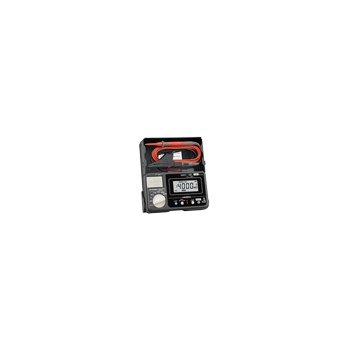 Especially useful when working in dark place.Hand free and continuous measurements with custom made switch.Safe design with built in automatic discharging function for any capacitors present in the circuit. 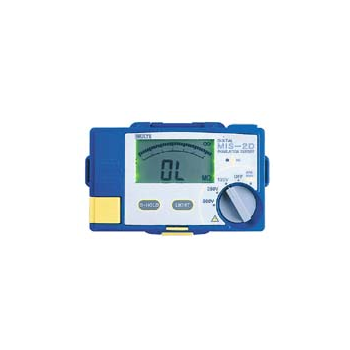 Large LCD Display* Battery Operation* Output High Volt age Indicator* Power ON/OFF switch for continous measurement. * Multiple output to cover all applications.